Note: After hearing President Obama and others speak I have to say that I am impressed and am hopeful and convinced that things are going to change regarding mental illness and mental health. 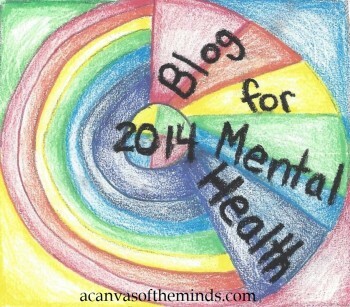 This blog entry was written prior to hearing the speakers at the Mental Health Conference. 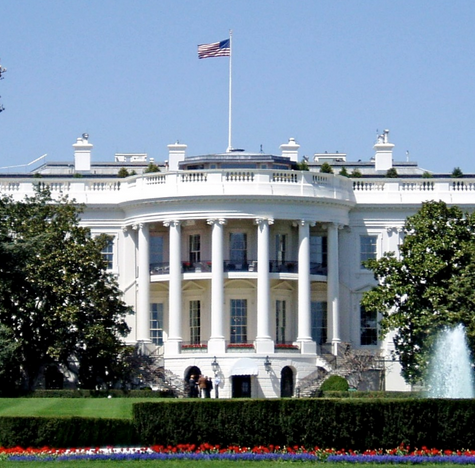 It was recently announced by Jay Carney that June 3rd the White House will hold a Mental Health Conference. This a huge step in the right direction. The one problem I have with it is in response to recent tragedies and gun control. I have to question if this is a political step or really a way to help those with mental illnesses and the stigma attached to it, the problems in how people with MI are treated and the lack of care that they get. Why was this not addressed until now? “Presidential spokesman Jay Carney said Obama and Vice President Joe Biden plan to host the conference June 3rd at the White House and the attendees will include mental health advocates, health care providers, faith leaders, government officials, educators and people who have experienced mental health problems. Carney said they will discuss how to reduce the stigma for those struggling with mental health problems so they will reach out for help. Carney noted that the vast majority of those with mental health conditions are not violent and are more likely to be victims than perpetrators of crimes.” Ref1 What will the agenda be? Will everyone in attendance get the same amount of time to talk? Who will be there? I just am not sure their intentions are sincere and they are out to help the 1 in 4 people afflicted with mental illness. There is a good chance that some good things that can happen from this meeting. I would like to know the specific names of the people who are attending and what will be discussed. . Will they all have similar agendas that are more political and focus on gun control? Will the the mentally ill, their relatives, mental health advocates, the police (CIT training), ministers who have a plan to run programs in their churches that help people rather than make the stigma worse, administrators of the overcrowded psychiatric hospitals, experts that can confirm the lack of timely care for patients who really can’t wait all have the same amount of time to express their concerns? I would really like to know the people’s names who will be attending who have a mental illness because they represent me. .I think it is important that people with MI can explain how stigma has impacted their treatment, what problems they have faced, and solutions to the huge problems regarding mental health our country faces. I have written numerous emails, letters, made phone calls, tweeted, sent messages on FB to many politicians. I even wrote to President Obama a certified letter that I know the White House received. Was my letter not passed on because I am one of the “crazy ones? I think my voice needs to be heard or at least know that my ideas and suggestions will be shared. A side note: I have received calls from politicians, mails and emails and messages on Twitter from some politicians so I know my voice has been heard. President Clinton even wrote me a personalized letter thanking me for my efforts. What I have to wonder is why a president who claims on his own website that he is “committed to creating the most open and accessible administration in American history. That begins with taking comments and questions from you, the public, through our website ignores me, a citizen of the United States who taught for ten years and has been battling a mental illness for 25 years. Does he just dismiss my ideas because I am just a “mentally ill, crazy person”? I would hope not, but have to question why I have not heard anything in response to any of my attempts to reach him. He seems to find people to stand behind him while he gives speeches. Where do those people come from? He invites people to numerous events because of what they believe or a letter he received. Why has he not received my many attempts to contact him. Is it because he and his staff are too busy? Is it because he thinks what I have to say doesn’t matter? I would hate to think the second is the reason, but do think that is why. I challenge whoever is reading this to ACT NOW! Make sure that all voices are heard on June 3rd, demand to know who will be invited and what the agenda is. Demand to know who will be there to represent the mentally ill and will they get the same amount of time to talk? W can make a difference if we stick together. Sign this Petition and Share with Other asking states to Recognize Mental Illness Awareness Week in October 2013 that was ignored last year. Write to your representatives and the media. Google Media and write, tweet, send message on FB, send emails, etc. to ask them to find out your answers and to get your point across. This entry was posted in Uncategorized and tagged 2013, advocates, agenda for Mental Health Conference, Attendees for Mental Health Conference, Bipolar Bandit, call white house, email white house, emailing president, facebook, gun control, gun control and mental illness, jay carney, joe biden, june 3, June 3rd Conference, mental health conference, mental illness awareness week, mentally ill, MIAW, Michelle Lande Hughes, nami, obama, President Obama, press secretary, social media, twitter. Bookmark the permalink. 17 Responses to Why June 3rd Is an Important Day in the US, Who is Invited, and What is the Agenda?